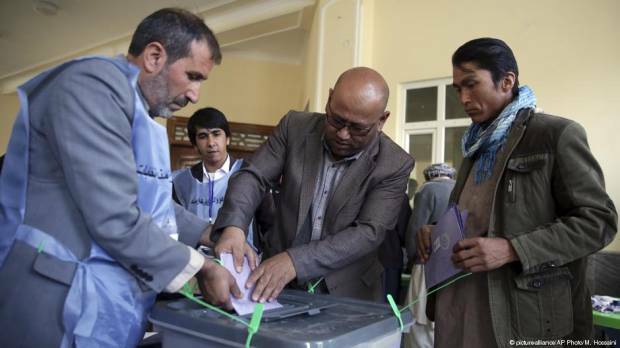 All votes cast in Kabul during the October parliamentary election are invalid, Afghanistan's Independent Electoral Complaints Commission (IECC) announced on Thursday. The IECC cited 25 reasons for annulling the results in the capital, including fraud and mismanagement during the conduct of the October 20 poll. Read more: Why are Afghan officials not announcing election results? "There were serious outstanding problems in Kabul that could hurt the fairness, transparency and inclusiveness of the election," said IECC spokesman Ali Reza Rohani. More than a month after the vote, official results from the election have only been announced for only 14 of Afghanistan's 33 provinces, casting a shadow over the credibility of an election process that was marred by violence and allegations of fraud. More than one million votes were counted in Kabul, accounting for about a quarter of the around 4 million votes cast nationwide. The invalidation of votes in Kabul comes as Afghanistan prepares for presidential elections in April amid a deteriorating security situation, and nascent talks between the United States and Taliban to end the 17-year war. Election officials are considering delaying the presidential vote due organizational problems.